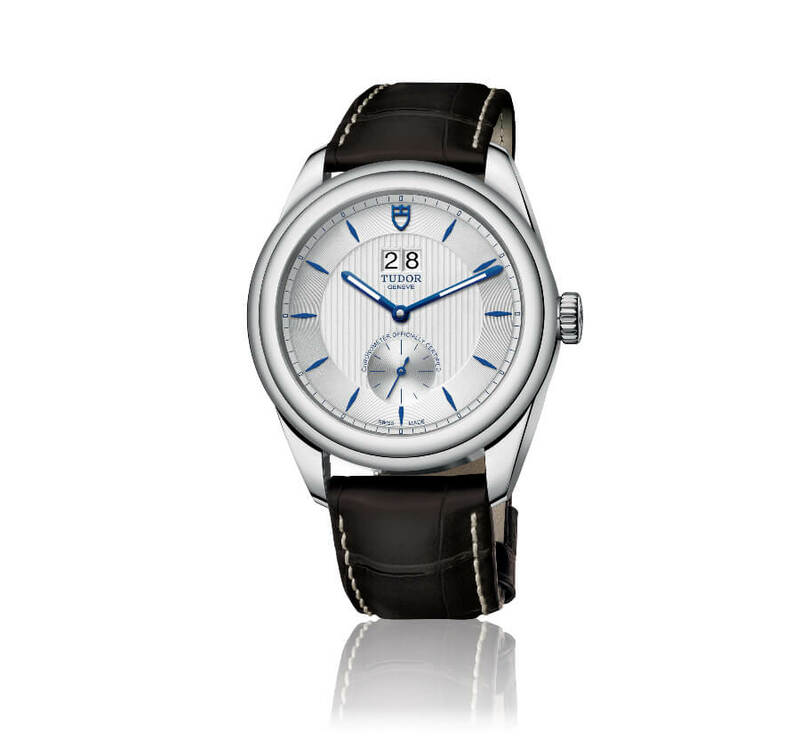 The design of the Glamour Double Date model is the result of Tudor's attention to detail, for which it is renowned. The double bezel has a slight drop creating a characteristic relief and gently extends the curves of the polished steel case. The edges present an encompassing line. The angles they draw refine them and work together with the bezel to give the Glamour Double Date model a noble and refined look. The design is striking while remaining true to its function and to what Tudor watches have become known for: robustness, waterproofness and precision. 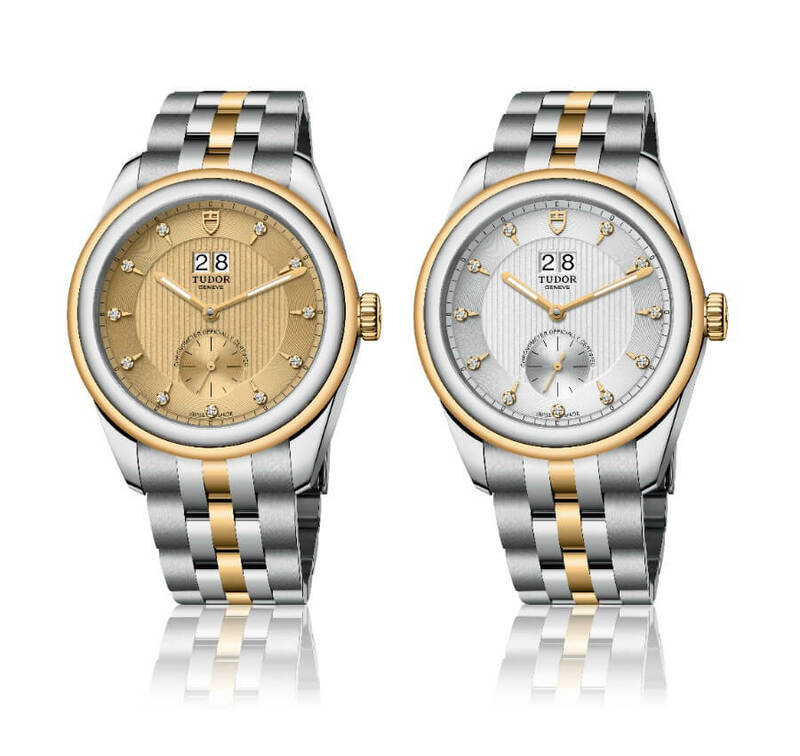 The Glamour Double Date model dial is available in silver, black, champagne-colour, or opaline white. It has two concentric rings. The central medallion is adorned with thin straight vertical gadrooning. 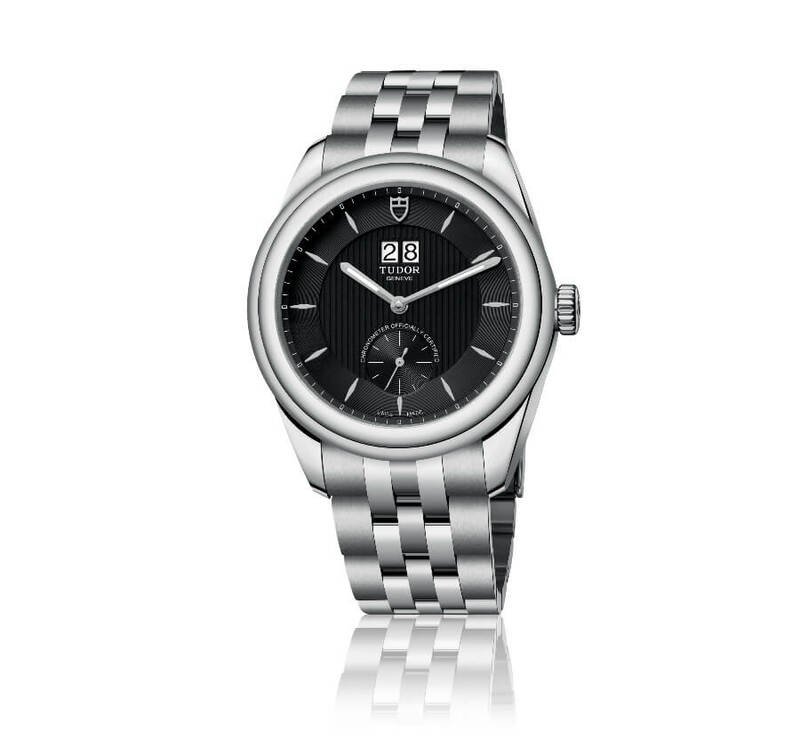 Their texture subtly catches the light without dominating the watch face. The outer ring has a sunray finish and is punctuated by elongated diamond-shaped hour markers. Their geometry echoes that of the calendar. Located at 12 o'clock, it is made of a large double window, which is fully horizontal and adds to the elegance of this Glamour model. At 6 o'clock, a small second beats time on a snailed background. 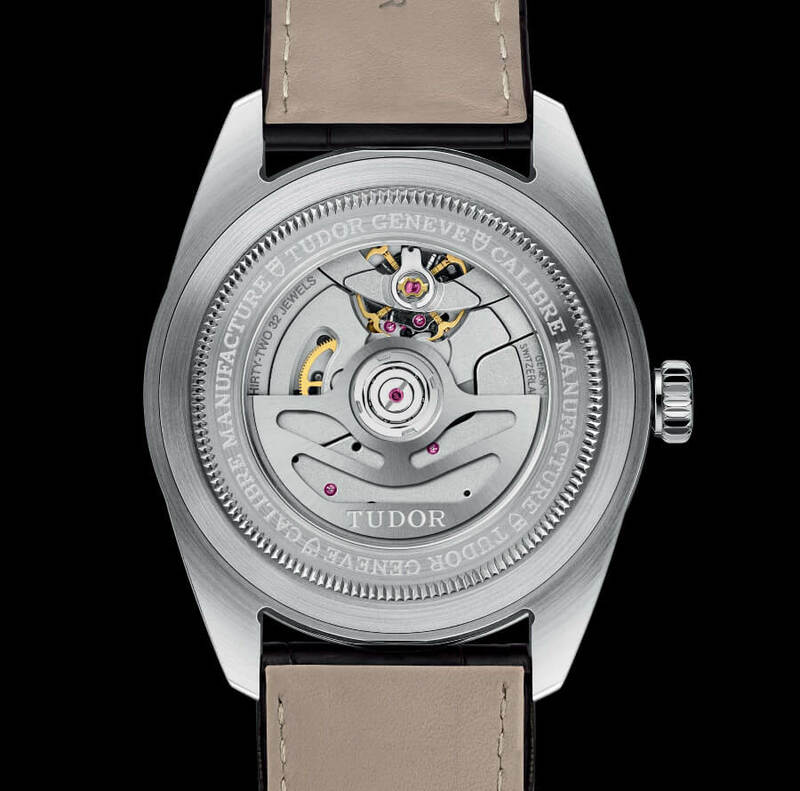 A new Manufacture Calibre has been developed by Tudor for this new Glamour model; MT5641. 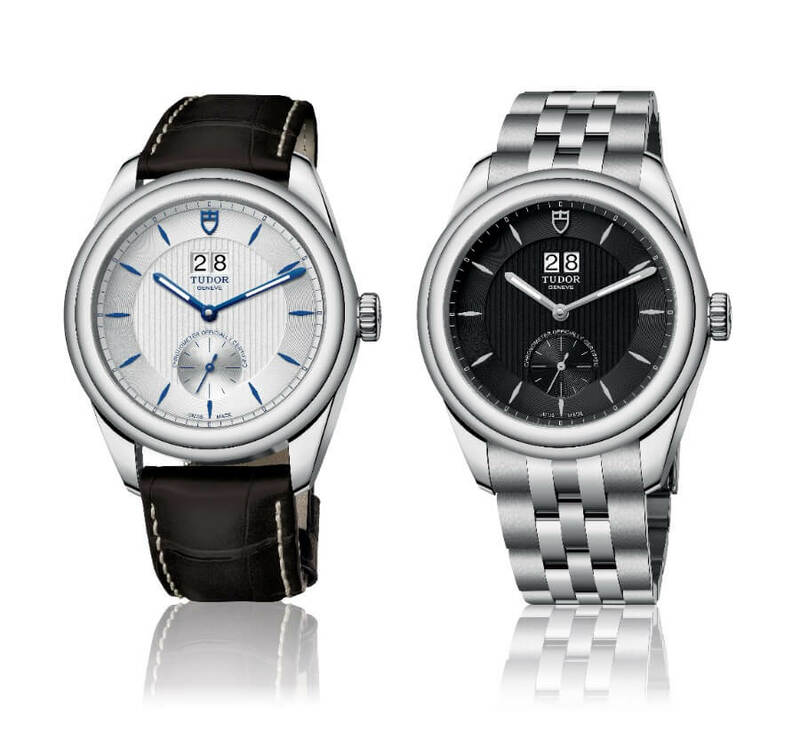 For the first time, a Tudor Manufacture Calibre has a small seconds hand at 6 o'clock as well as a double date function at 12 o'clock. Date change at midnight is instantaneous; changes are made by directly adjusting the crown. 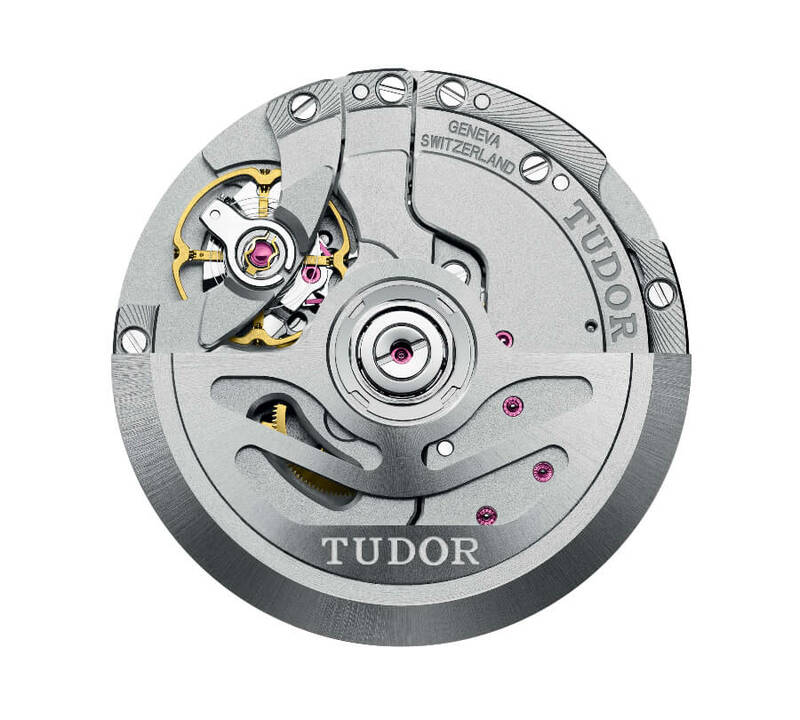 The Calibre MT5641 has the typical appearance and finish of Tudor Manufacture Calibres. Its openwork rotor is satin-brushed with sand-blasted details and its bridges and plate have alternate polished sand-blasted surfaces and laser decorations. Its build is designed for robustness, longevity and reliability, as is its variable inertia balance held by a solid double anchor bridge. 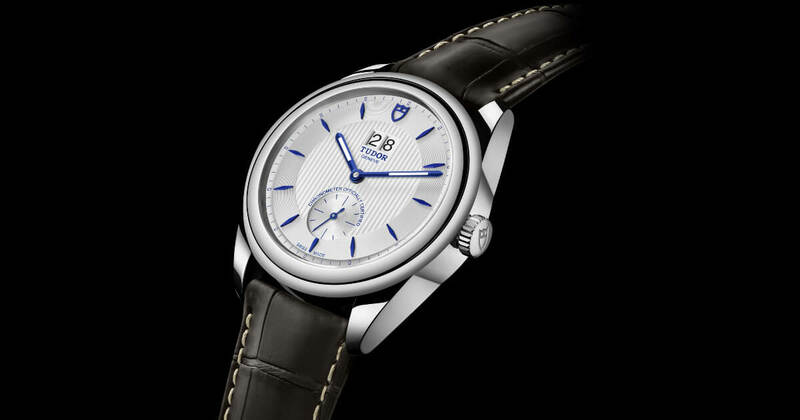 Coupled with a non-magnetic silicon spiral, the MT5641 Calibre is certified by the Swiss Official Chronometer Testing Institute (COSC), with a precision going beyond the criteria of the institution of -2 +4 seconds per day. The 70-hour power reserve means that a wearer can take off their Glamour Double Date watch on Friday evening and put it back on again on Monday morning without having to wind it. 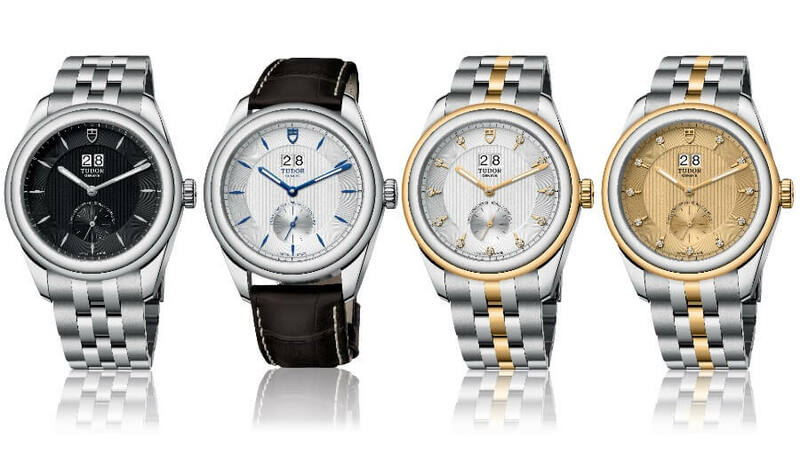 For more information visit Tudor Online.